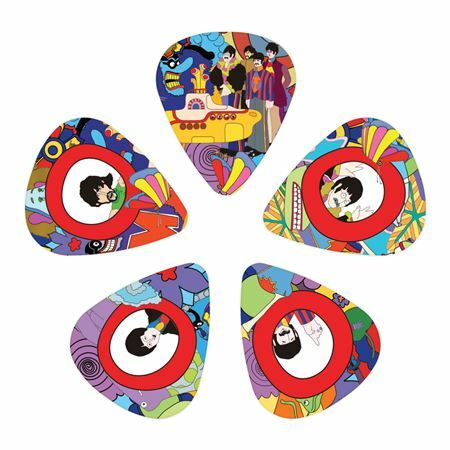 Order your D'Addario Yellow Submarine 50th Anniversary Guitar Picks from AMS and enjoy Fast & Free Shipping. Get the Best Deal with our Lowest Price Guarantee & Great Customer Service! 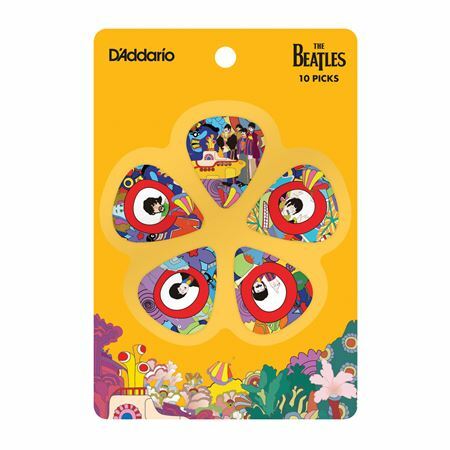 In celebration of the 50th anniversary of its release, D’Addario is commemorating The Beatles’ iconic animated film Yellow Submarine. This limited set of 10 Celluloid picks, honors the timeless spirit of the film and the Fab Four. From Love Me Do to Revolution, the Beatles were arguably the most creative, diverse and influential band in pop music history. D'Addario honors the Beatles' legacy with a unique collection of guitar picks, featuring iconic album covers and timeless images which capture the enduring spirit and essence of the Fab Four.